Mark E. Speese (born 1957) is an American businessman who is the Founder and CEO of Rent-A-Center. 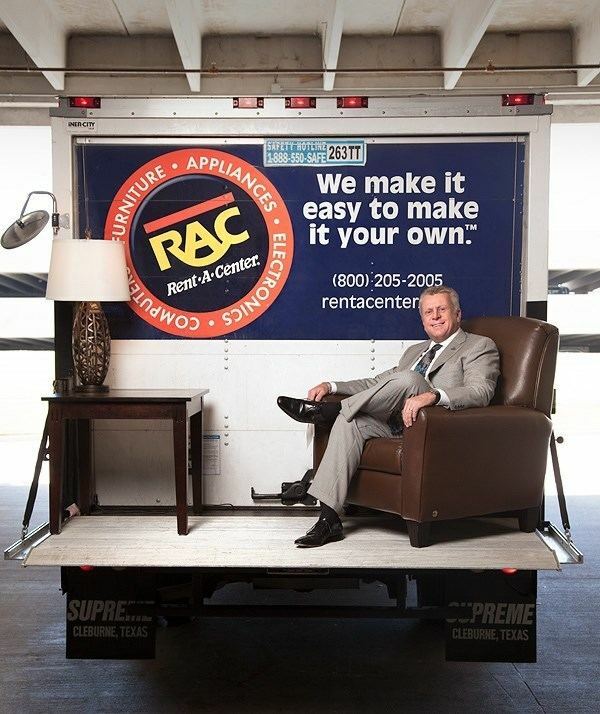 Speese began his career in the rent-to-own industry in January 1978. He started as an entry level coworker with Rent-A-Center, a brand that has been in existence since 1973. He moved up the career ladder with the company, and after nearly eight years working in the business, he and a colleague left the company to start a competing business known as Vista Rent-To-Own. They opened stores in New Jersey, Puerto Rico and California. Speese was responsible for choosing store locations, negotiating leases, hiring and training personnel, writing the business model and employee handbook, creating advertising and getting vendors in place. With Speese as President and COO, Vista Rent-To-Own made its first acquisition of stores in 1993 and officially changed its name to Renters Choice. The company went public on the NASDAQ market in 1995 under the symbol RCII. In 1998, having grown to the industry’s second largest rent-to-own business with 750 stores, Renters Choice acquired 1,409 Rent-A-Center stores from Thorn Americas. This move put the company on the map as the industry’s dominant rent-to-own company. Renters Choice adopted the Rent-A-Center name. Mark Speese retired as Rent-A-Center CEO at the end of January 2014. He continues to hold his position as Chairman of the Board. According to Forbes.com, in 2011, Speese’s annual compensation was as follows: Salary: $865,700; Option awards: $84,900; Non-equity incentive plan compensation: $1,099,326; All other compensation: $10,028. Total overall compensation of $2,059,954.